What is worship really? With so many different worship practices in the world today, how can we know what God really wants? What does worship mean to you? It’s vague and ethereal to many. Others have specific actions and attitudes in mind—absolute silence or ecstatic utterances, hands raised to heaven or faces bowed to the ground—often based on the worship style of their religious group. But what does God say? What worship does He expect? What pleases Him, and what does He reject? The Bible has a lot to say about worship. In this article we will focus on the New Testament teaching about worship and the practice of the New Testament Church. 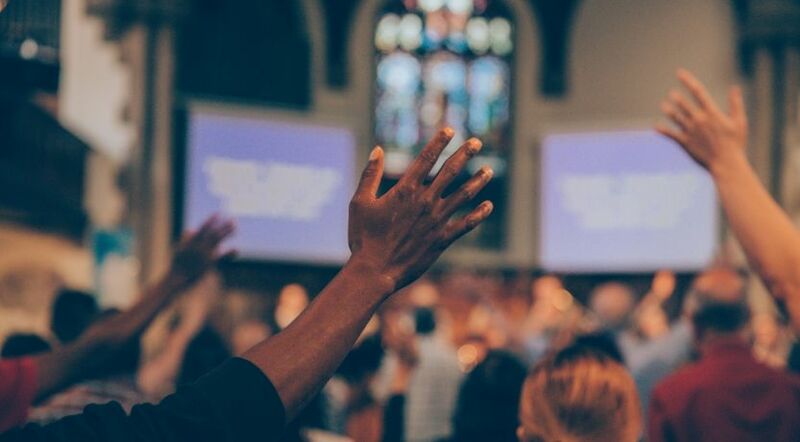 The most important question about worship is this: Who should be worshipped? The Bible shows that people have worshipped angels (Colossians 2:18) and pagan gods (Acts 7:43). It predicts that in the end time the whole world will worship the evil beast and the dragon (Satan) who empowers him (Revelation 13:4, 8). But none of these deserve worship. They are counterfeits, frauds and usurpers. We break the First Commandment if we worship any of these. “Worship God!” (Revelation 19:10; 22:9). When Satan the devil offered Jesus the world if He would worship him, Jesus responded, “You shall worship the LORD your God, and Him only you shall serve” (Luke 4:8). The specific actions of kneeling and falling prostrate demonstrate the broader attitude and approach toward God that worship can entail. Basically worship is deep respect, reverence, obedience and service to God. So basically worship is deep respect, reverence, obedience and service to God. Our relationship with God requires a personal commitment, and worship is an essential part of that commitment. Not only is He our Creator, but by Christ’s sacrifice He has made it possible for our sins to be forgiven and for us to become children of God forever. Worshipping in the Spirit also transforms our physical lives and actions. As James explained, “Pure and undefiled religion before God and the Father is this: to visit orphans and widows in their trouble, and to keep oneself unspotted from the world” (James 1:27). In addition to personal worship, the Bible describes community worship, such as Sabbath and festival services (Isaiah 66:23; John 12:20). The Bible doesn’t give much information about how New Testament church services were conducted, except perhaps in 1 Corinthians 14, where the apostle Paul told the Corinthians they were doing it wrong. But there are many passages that can guide our worship at church services. The Church leadership is given the responsibility of setting the format to avoid confusion and provide peace and unity (1 Corinthians 14:33, 40). Public worship also includes prayers of praise and requests for God’s help and guidance (Acts 4:24-31; 12:12). Church services also involved sharing and learning God’s truth. Paul described some of the benefits inspired preaching of God’s Word can give: “The one who prophesies speaks to people for their upbuilding and encouragement and consolation” (1 Corinthians 14:3, English Standard Version). Prophesying has a wider meaning than just foretelling, and includes speaking by God’s inspiration. The Bible—God’s Word—is truth (John 17:17), and so the Church needs to hear the Bible preached to grow. Paul wrote, “So then faith comes by hearing, and hearing by the word of God” (Romans 10:17). He encouraged Timothy to “preach the word!” (2 Timothy 4:2). If “vain” worship is to teach the “commandments of men” (Matthew 15:9), then right worship is to present the Commandments of God. Looking for the church that sponsors Life, Hope & Truth? See our “Who We Are” page. “‘You are worthy, O Lord, to receive glory and honor and power; for You created all things, and by Your will they exist and were created’” (Revelation 4:8-11). Though church services are not called worship services in the Bible, and as we noted, the New Testament doesn’t give many details of how church services were conducted, we can still glean a number of principles about the type of worship style that is pleasing to God, and what is not. Meaningful, not meaningless: “That the church may receive edification” (1 Corinthians 14:5). Unified, not divided (1 Corinthians 1:10; 11:18). Organized, not confused: “For God is not the author of confusion but of peace, as in all the churches of the saints” (1 Corinthians 14:33). Serving, not selfish (1 Corinthians 10:24; 12:7). Reverent, not profane, crude or sloppy: “Serve God acceptably with reverence and godly fear” (Hebrews 12:28; see also Ephesians 5:4; 2 Corinthians 6:16-7:1). For hints about acceptable dress, see Matthew 22:11-13 and James 2:2-4. God does have high standards, but His people are not to discriminate against the poor who are wearing the best they own. Generally joyous, though sometimes somber or repentant: “Worship the LORD with gladness; come before Him with joyful songs” (Psalm 100:2, New International Version).